I dare you to not get the theme song stuck in your head. I'm a bit of a nerd for mythology so this mini anime was right up my alley. Medjed's lots of fun and the chibi!Ra/Bastet/Anubis are super cute. Translation-wise this was a bit of an experiment as I was trying to make this as newbie-friendly as possible. Plus I had fun with typesetting the onomatopoeia words, so I hope you enjoyed that too. This is funny and instructive. Thanks! 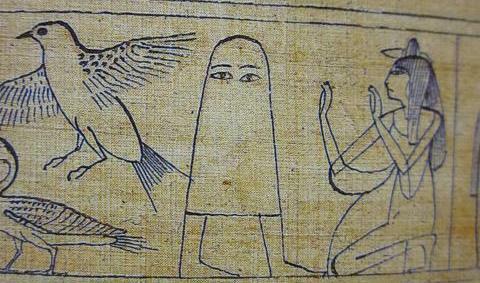 Well ain't Medjed a little cutie. The anime was funny with the non-sequitors but maybe some of the stories should have had an ending?? ?